If you’ve signed a home purchase contract, a crucial step before finalizing the sale is to consider a professional home inspection. A home inspection contingency is your chance to explore the property more closely and discover any significant problems that have to be addressed before purchasing the house. 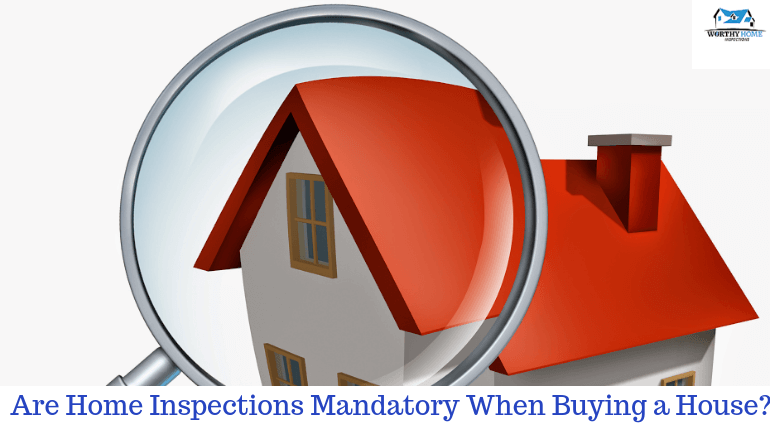 However, many people also want to know whether or not home inspections are mandatory when buying a home. Read on to learn why you need a home inspection when buying a house. Are Home Inspection Required for a Mortgage? A mortgage is basically a loan that is applied for a home purchase. Home inspections are usually not necessarily required to attain a mortgage. However, it may be required, depending on certain factors including the type of mortgage you’re applying for and the particular bank that will be dispensing your loan. Most banks will strongly encourage a home inspection. Therefore, a home inspection is an optional process that you can choose for yourself. Why Get a Home Inspection When Buying a House? The American Society of Home Inspectors (ASHI), reports that each year, the numbers of home inspections are on an increase with above 90 percent of home deals involving a home inspection. This figure includes both seller-based and buyer-based inspections, and it surely indicates the importance of home inspections in the home buying process. Many home inspectors also provide additional services like, energy audits, testing for mold, radon, and water quality. After the home inspection, the inspector delivers a written report of the outcome to the prospective buyer who then makes an informed decision about whether or not to buy the property. A home inspection that exposes serious flaws will enable you to back out of the deal without penalty. It will also empower you to ask the seller to consider repairs before concluding the sale. Therefore, helping you save money and avoid any possible issues. Considering the impact that home inspections have on the actual home value, you should make a home purchase decision, only after you get a home inspector's report. If your home inspection report comes back clean, you can continue with the sale with confidence. Otherwise, you can decrease your offer, ask the seller to pay for repairs, or even withdraw the contract altogether.